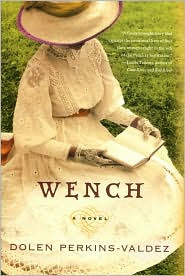 I recently picked up a copy of a debut novel called WENCH by Dolen Perkins-Valdez. Dolen had actually sent me an email about her book way back in October, and I'd been eagerly anticipating it ever since. It did not disappoint. Tawawa House in many respects is like any other American resort before the Civil War. Situated in Ohio, this idyllic retreat is particularly nice in the summer when the Southern humidity is too much to bear. Lizzie, Reenie, and Sweet are regulars at Tawawa House. They have become friends over the years as they reunite and share developments in their own lives and on their respective plantations. They don't bother too much with questions of freedom, though the resort is situated in free territory-but when truth-telling Mawu comes to the resort and starts talking of running away, things change. In her debut novel, Perkins-Valdez takes the reader on a journey into a period of American history that is often hidden, unspoken, and considered just plain taboo. Witness the outcry at the idea that the nation's founders Washington and Jefferson had not only slave mistresses but also children. Pekins-Valdez opens the book with a definition of the world WENCH and how it's meaning changed over the years, giving you an idea of the status of the women in the novel. 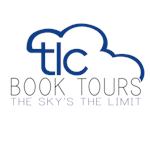 The book follows the lives of four slave women, Lizzie, Reenie, Sweet and Mawu, the wenches of the title. Set in the turbulent 1850's which set the stage for the Civil War, the four women meet each summer when their owners vacation at Tawawa House in Ohio. They live in cottages set apart from the main hotel so that the men can have privacy with their slave mistresses. Don't be fooled by the pretty cover. Although the men are on vacation, the women are not. As slaves, they are still required do chores, as well as help out at the hotel. In Ohio, they come into contact with free blacks for the first time, and hear about the idea of abolition, which of course scares their masters who insist that slavery will always exist. Because of this exposure, the women start to contemplate the idea of freedom, that it might actually be a possibility. Only Lizzie is hestitant to shake off the shackles of enslavement. She believes that she and her master Drayle have a real relationship, she thinks that she loves him, and that he recipocrates the emotion. Although the book is about the four women, the main character is really Lizzie. Perkins-Valdez flashes back in time for several years in the middle of the novel to the 1840's. The reader is privy to the beginnings of Lizzie's relationship with Drayle from the time she arrives at the plantation (still called Eliza) in Tennessee and vividly explores the complicated dynamic between not only between Drayle and Lizzie but also between Lizzie and her mistress Fran. We see through Lizzie's eyes the sacrifices the way that they cope when their husband takes a slave mistress. Fran is just as complicated as Lizzie. It would be so easy to make her the villain in the novel, but she's, in many ways, a victim as well. She can't have children and it has to have been painful for her to see Lizzie give birth to Drayle's children. Drayle is kind to Lizzie, he takes her to see her older half-sister Joy at another plantation, and he moves her into a bedroom across from his wife's. It's easy to see how Lizzie could have moments when she forgets the true nature of their relationship. All four women are vividly drawn from Mawu, who is rebellious and headstrong, to Sweet who is the earth mother of the group, to Reenie who is the oldest of the four women. There are some delightful scenes in the book, at one point the women are allowed to go into Dayton, and the realization that they are in a part of town that is filled with free African-Americans is amazing. Also, when Lizzie discovers the metal hoopskirt that some of the white women wear. 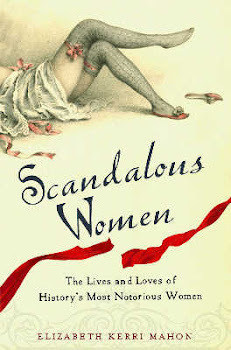 Over the course of the book, they suffer unspeakable tragedies, and the reader gets a good look, not only of the lives of these women but also the male slaves, particularly Philip who is one of Lizzie's closest friends. The book concludes with the final summer at Tawawa House, as they learn that the resort is about to be sold, ending a chapter in their lives. Although the novel is a quick read, it doesn't lessen the emotional intensity nor the suspense of the story. I had no idea where the story was going, the twists and turns had me riveted. In fact I was so gripped by this book that I couldn't put it down even though I was supposed to be doing research on other topics. The story is fictional, but the fact that Tawawa House actually existed and that it was a place where Southern planters took their slave mistresses adds a resonance to the book. At first, I was a little put out that the book is mainly about Lizzie in some ways, but I quickly realized that she has the longest emotional journey to take in the book. Lizzie is not perfect, at times she's naive, and at one point she does something that is shocking. Her slow realization that she has been living under an delusion or illusion is heart breaking. There are some painful scenes in this book. Perkins-Valdez does not shy away from detailing some of the more unsavory and harsh aspects of the slave experience. Her writing is assured and lush, allowing the reader to enter a world where you can almost smell the food cooking or the sounds that fill the night air, or feel the oppressive heat of the Ohio summer. This book will stay with you long after you turn the final page. The contest ends February 8th at 12:00 p.m. and will be announced on February 9th. 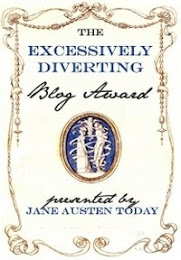 2) If you are not a follower of the blog or on Twitter and you become one, you get an extra entry. 3) If you tweet about this giveaway, and you let me know, you get an extra entry. Ever since we watched Roots and read Their Eyes Were Watching God in middle school, I have been fascinated by slave history, in the US and elsewhere. So many untold stories. I would love to win, this easily was many womens' story. I'd love the chance to read this one! Thanks for the giveaway. I would love to win and read this. It sounds unlike anything I've ever read before. This sounds absolutely wonderful! Although I would certainly love to win your copy, I am going to be nice to my reading friends and e-mail them this post so they can read your review and enter too! The book sounds interesting, and as a history student interested in Antebellum U.S. history, I'd be interested in reading the book, too. SOunds wonderful! Sign me up too! I would love to read this book. Have you read "The Help"? I really want to read this book! 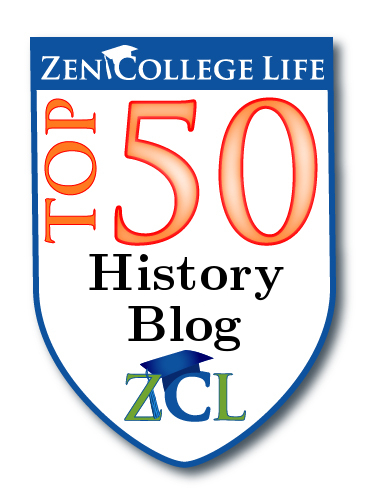 I have blogged about it at Historical Tapestry, and tweeted! It sounds wonderful and I'd love to win a copy. Have just discovered your blog through HT and am now a follower. I like the new format of the blogface, not sure when you did it as I've missed a few days, sorry! I hadn't heard of WENCH before & it is definitely intriguing. Thank you for the opportunity to win it & for introducing me to Dolen Perkins-Valdez. I recently heard of this for the first time and it sounds amazing! I'd love to be entered in your giveaway! I've wanted to read this book for awhile. I'm also a new follower. Enjoyed your article. I live in Ohio and discovering this new piece of Ohio history added to the awe of the story. The author did an incredible job of conjuring and sustaining an emotional grip on the reader.